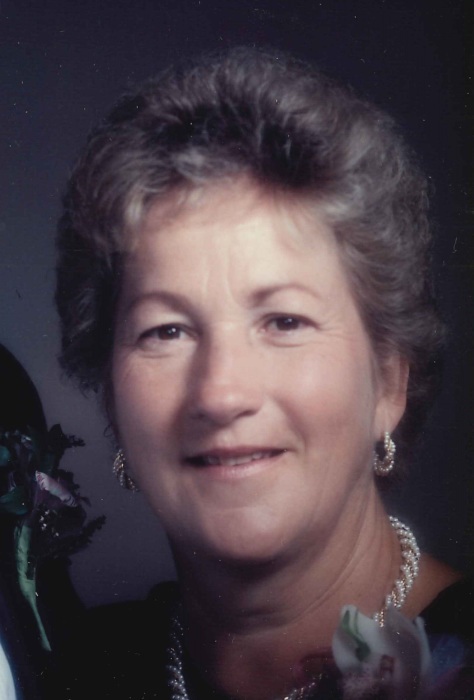 Rita Adeline (Thomes) Melsha, age 80 of Arlington, passed away on December 5, 2018 at the Good Samaritan Society in Arlington. Memorial Mass will be 5:00 p.m., Thursday, December 13, 2018 at St. Mary’s Catholic Church in Arlington. Fr. Aaron Johanneck will officiate. Visitation will be 1:00 p.m. ~ 4:30 p.m. on Thursday, December 13 at the Arlington Community Center. Following mass, there will be a time of sharing and evening meal at St. Mary’s Church social hall. Interment will be in St. Mary’s Cemetery in Arlington. Rita was born in Glencoe on December 16, 1937 to Alexander and Agatha (Kreger) Thomes. She graduated from Arlington-Green Isle High School in 1955. Rita worked at the family business, Thomes Bros., until she married Harold Melsha on September 10, 1957 at St. Mary’s Catholic church in Arlington. Rita was a homemaker most of her married life, raising and caring for their seven children. Rita was very active in the community and the church often volunteering for local events and charity drives. She reveled in the time she spent with family and friends. She was an avid bowler, tennis player, and biker. She often spent her summer days at the family pond enjoying swimming, volleyball, horseshoes, and roasting marshmallows. Winters, she enjoyed snowmobiling and cross country skiing. After the children were grown, she continued to enjoy outdoor activities and travelling the country. Eleven Grandchildren and Four Great-Grandchildren. Brother; Joe Thomas of Arlington and sister; Helen "Shorty" Brau of Arlington. She is preceded in death by her parents, son, Michael and husband Harry. Siblings; Karl Thomes, Ralph Thomes and Josephine "Sis" Gilhousen. Flowal tributes may be sent to the Arlington Community Center on Thursday morning, 204 Shamrock Dr, Arlington, MN 55307.